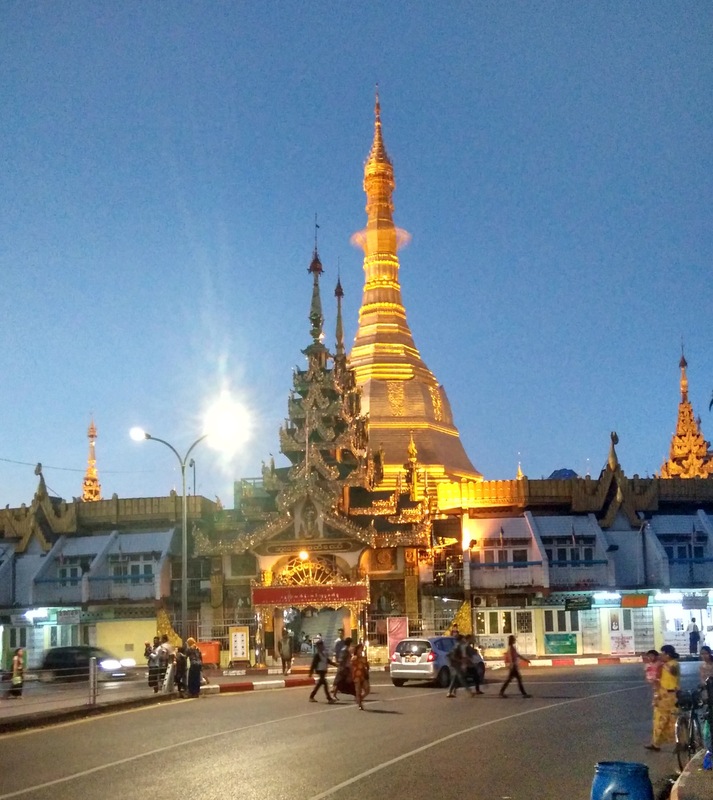 How To Be a Burmese in Yangon for One Day? 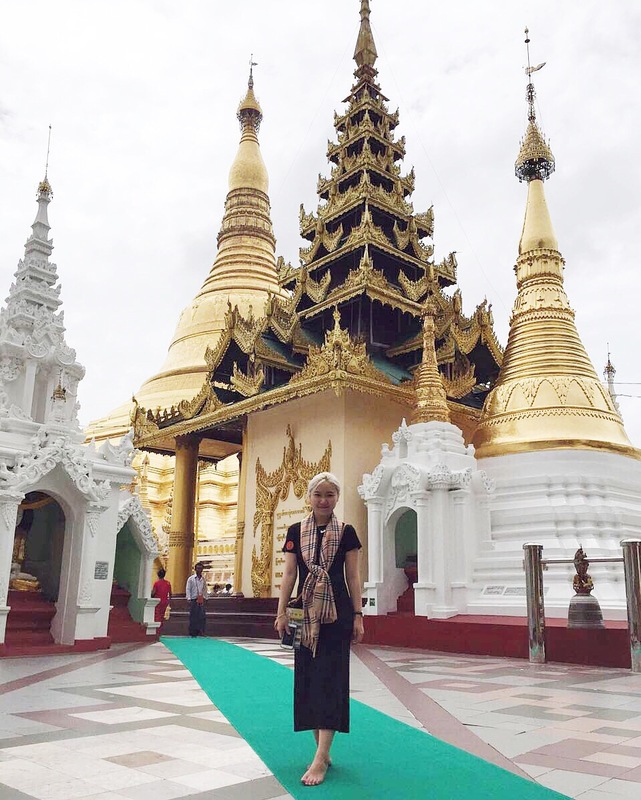 Myanmar has been one of my top travel bucket list. For years this country has isolated itself from the outside world, and only little was known about what has happened inside this country. Therefore, I always imagine the kind of adventure I would have if I travel to Myanmar, such as how does it feel to be walking around the streets, how does the local food taste like, how do the Burmese look like, and there are just too many curiosity that triggers me to explore this Mysterious Golden Land. Since almost 90 percent of the population are Buddhist, you would easily find stupas and temples in Myanmar. 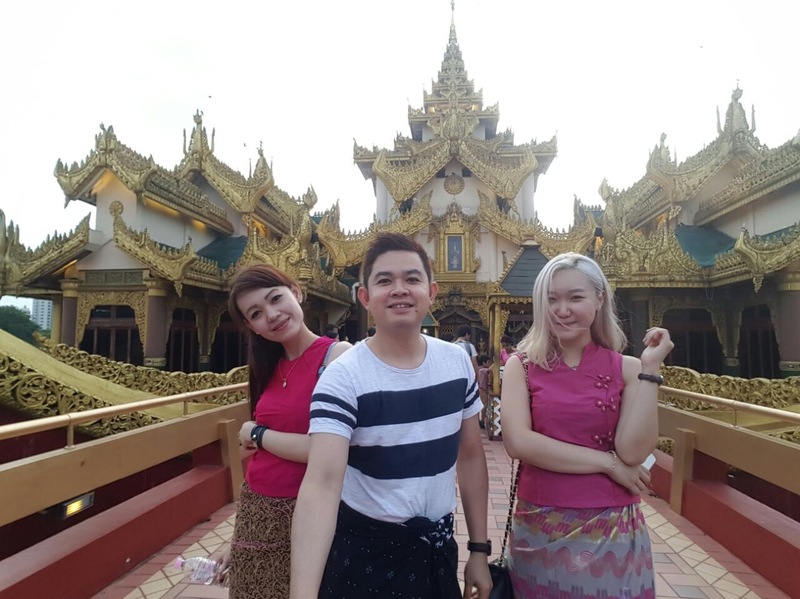 The first thing of being a Burmese is to let yourself drowning into the culture itself, and visiting the stupas and pagodas in Yangon are one of the great start. Sule Pagoda is located in the heart of the city, and is part of the city’s economic, politics, and ideology. 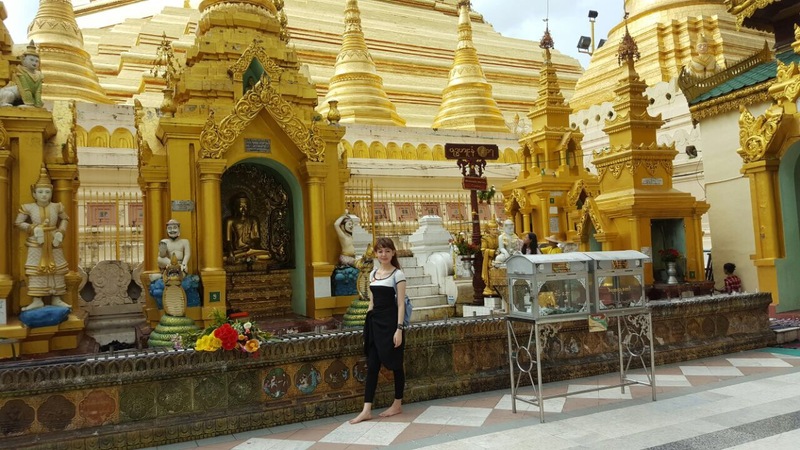 Sule Pagoda is very close to many other tourist attraction, therefore I always recommend tourist to stay in this area. 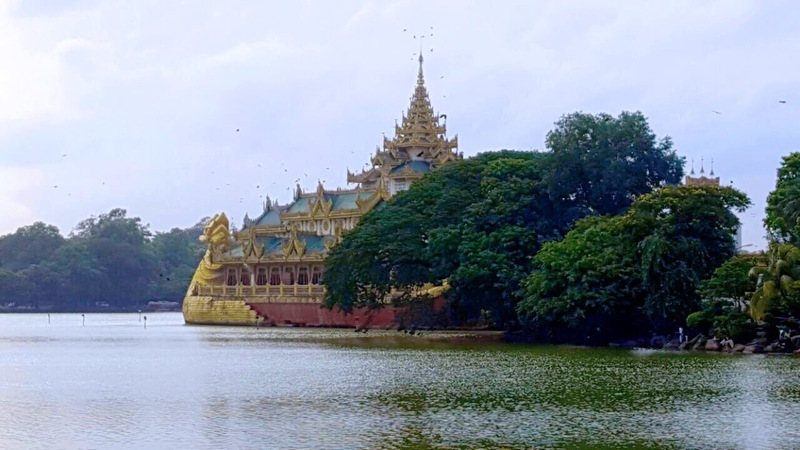 The pagoda was built before 2500 years ago, which was before the Shwedagon Pagoda. You would make prayers depending on day you were born, there are Monday Corner, Tuesday Corner, and so on. Originally the structure of the stupa resembles the Indian stupa, however local Burmese culture began to change the shape of the pagoda itself into a more independent Burmese Stupa. Also you need to pay US$2 per person for an entrance fee, and the opening hours is from 4am to 10pm. Along the streets from Sule Pagoda to Night Market, you would see a lot of Moeslim Mosques, also clothing stores, local food stalls and restaurants. Don’t be surprised if u see trashes all over the streets, it’s kinda normal for some markets in asia. The night market in downtown is also known as Chinatown because most of the stores are owned by Chinese. However, the stores closed very early, and even it was named night market, the market actually closed at around 8-9 pm in weekend, so by the time we got there, the stores were mostly closed. Why dressing up as a tourist when you had a chance to be more like a local? 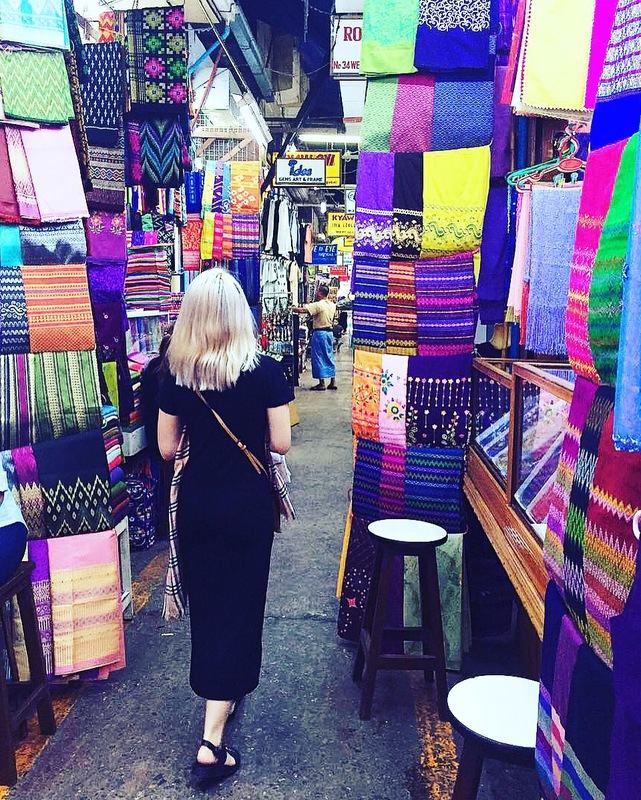 The Bogyoke Aung San Market is a top tourist destination, the market sells many Burmese handcrafts, jewelry, antiques as well as clothing. Myanmar is known to its longyi, a sheet of cloth widely worn in Burma, which is approximately 2 metres long and 80 centimetres wide. The cloth is worn around the waist, running to the feet. Longyi is similar to malay men sarong, however, they are not unisex, so the patterns worn by female and male are different. Paso is the longyi for male, while female longyi is known as htamain. This is a 2500 years old Pagoda that enshrines four strands of Buddha’s hair, located on west of the Royal Lake on 114 -acre Singuttara Hill in Yangon. The opening hours start from 4am to 10pm and the fee is around US$8. 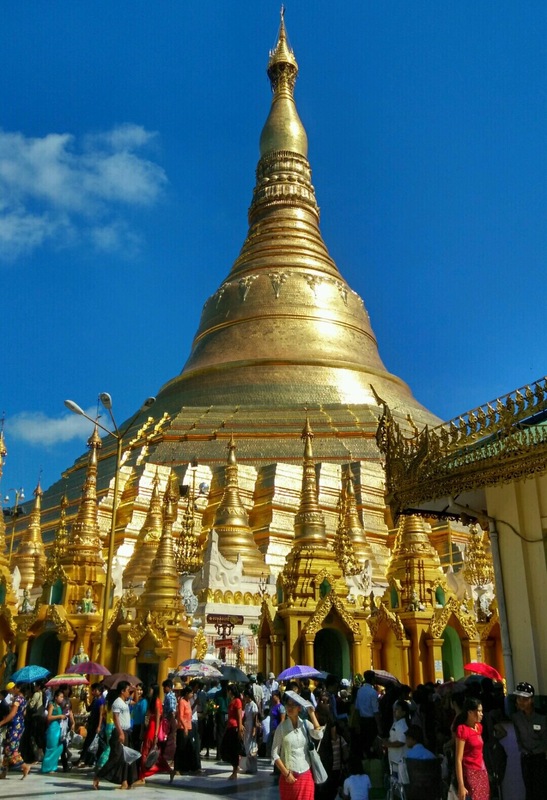 This impressive Buddhist Pagoda is covered with hundreds of gold plates, in addition, 4531 diamonds are also encrusted on the top of the stupa, the largest is a 72 carat of diamond. 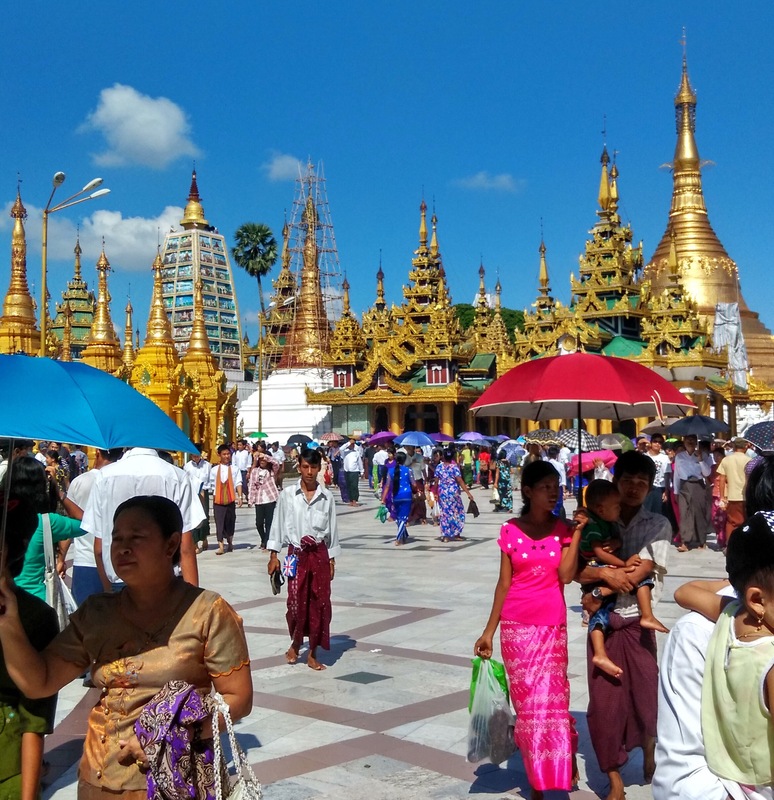 Eventhough there are many Buddhist sites in Asia, they are all relatively different, and so does the Shwedagon Pagoda, which consists of hundred colorful temples, stupas, and statues that reflects the Myanmar architectural fo almost 2,500 years. If you would like to taste the luxury side of Yangon, then you should try visiting Karaweik Palace Restaurant. It is a high-end Yangon restaurant which was culturally and interiorly Burma designed. The restaurant is called Palace for a reason, it was designed like a ship that docks on the river, with layers of colors and gold, also dragons are accessorized on the top of the ship which reflects the power of the nation itself. The restaurants serves burmese traditional food, which cost approximately around USD 35 per pax. The price is for dinner buffet, and it starts at 6 pm until 10 pm. I suggest you not to be late because there is also traditional dances that you would not want to miss! It is a little pricey, but you could experience the food, dance and culture of Burma in one whole night. Bring US Dollars in small changes, $10 $20 and be very extra careful! There’s no MRT or proper busses, so I suggest you commute with Taxi’s. The taxi’s usually do not use meter. So here’s some taxi price that you can use, but try to bargain as you might get cheaper prices than mine!